We encourage you to become familiar with these policies and services and urge you to bookmark the above link for future reference. Should you need any assistance at all, please feel free to stop by the Campus Life & Student Development Suite (201) on the second floor of the Halladay Building or send an e-mail to Campuslife@tamuc.edu. As always, it’s a great day to be a Lion! We’re so glad you’re here! The Division of Campus Life and Student Development promotes a culture of intellectual exploration and inclusion by facilitating student-centered programming, developing student leaders and global citizens, and providing services and facilities designed to encourage continued learning outside of the classroom. 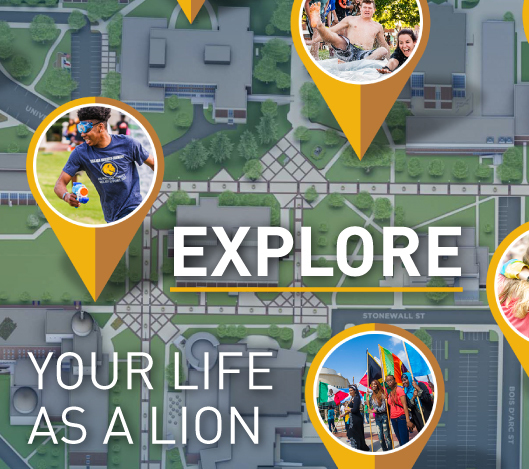 The Division of Campus Life and Student Development seeks to provide nationally recognized student-centered programming, services and facilities designed to promote lifelong learning and develop tomorrow’s leaders. We value the inherent worth and dignity of each individual. We promote and celebrate the diversity and uniqueness of all people. We believe in the fearless exploration of one’s dreams and the unfettered pursuit of knowledge, truth, and excellence. We seek to give back to our communities, both locally and globally, through service, innovation, and environmental stewardship. We are committed to providing a safe environment and instilling an atmosphere of civility for our campus community. We encourage, support, and serve as advocates for our students. We strive to accomplish our mission with uncompromised purpose, integrity and honor.